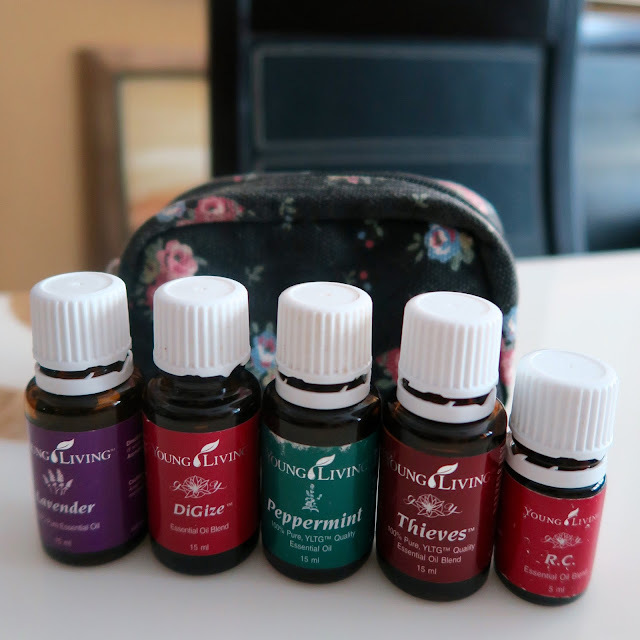 Essential oils have become part of our family's everyday routine. 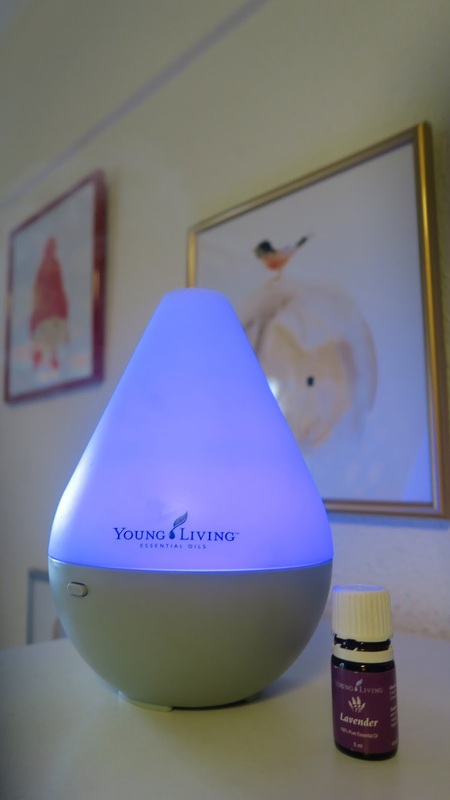 It's been a few months since we first began our journey into the world of essential oils by Young Living. Although I haven't had the time to blog much about the oils, they've pretty much become part of our family's life since then, and our go-to remedy for almost every ailment our family encounters. I'm actually very happy with the way it's turned out, as it's much more appealing a thought to be applying some therapeutic-grade Lavender or Thieves to counter a headache or soothe a sore back than to be popping a Panadol or some other pain-relief medication. And, believe me, as a tired mother of two extremely active and precocious boys, I have been needing all the help I can get! Yes, our two boys who keep us on our toes from dawn to dusk, 24/7! It was of great interest to me that essential oils were featured in the papers today as being used by parents to help with various health conditions in their children, ranging from sleep challenges to the common cold. 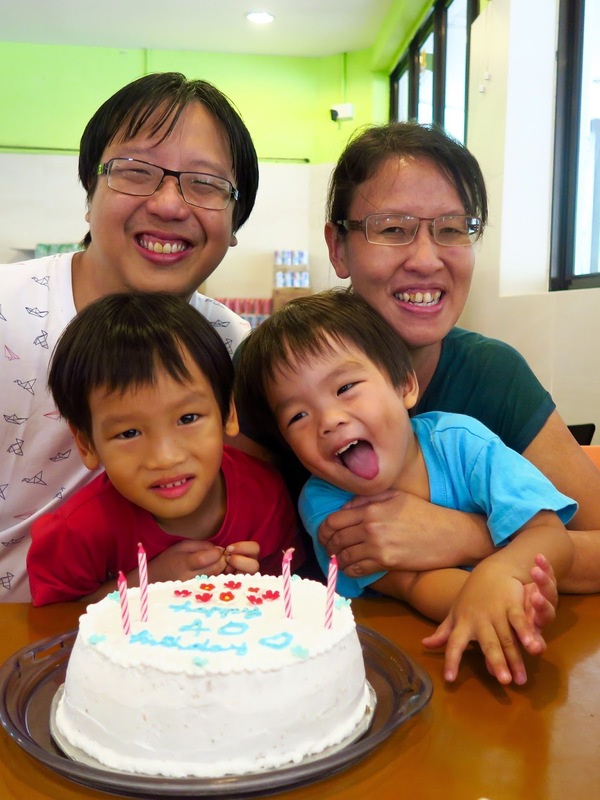 Ms Faith Teo, 38, an independent distributor for Young Living Singapore and a mother of two, sees the trend as part of a bigger movement among parents towards feeding their children organic food and using chemical-free products at home. She says the oils can be used on babies for conditions such as colic and gas. She adds that they also help them sleep better, regulate their bowel movements, relieve discomfort during teething and calm them. For older children, the oils can reportedly be used to support their immune, respiratory, musculo- skeletal and other body functions and systems. The oils can be applied on the skin or diffused into the air. For children under two, the oil is best diluted before use. 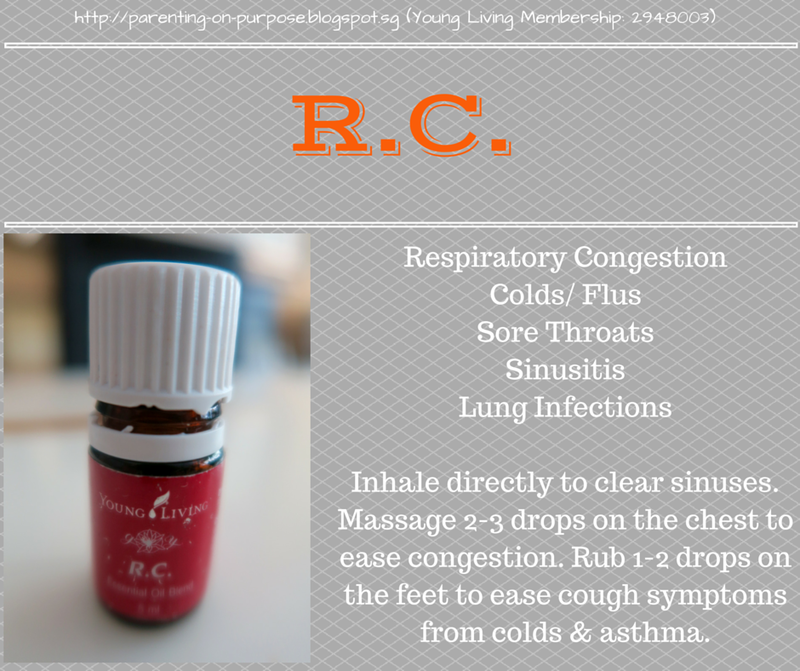 Some parents apparently use these oils to relieve symptoms of common ailments such as cough and cold and to bring down the temperature in a feverish child and for chronic conditions such as asthma and eczema. The oils have indeed been of benefit to the health of our children, and we have been grateful for these natural remedies which complement the traditional methods of dealing with coughs, colds and tummy aches. 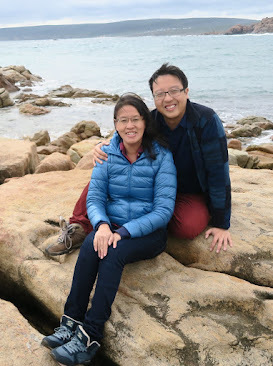 However, my husband and I have also found them to be helpful for us both as we face packed schedules and long days at work and at home. Oils for the Weary Mum: Some of my favourites! It was a challenging period for me during the recent haze period, as the pollutants in the air triggered asthmatic attacks which I had not had for several years. One by one, each family member came down with a nasty phlegmy cough and a sore throat which seemed to take ages to subside. I was exhausted caring for my sick kids while operating at less than ideal breathing conditions. How we take for granted each breath that we breathe! Anyway, I have decided to do a short rundown on the Young Living oils that have helped us as a family, both in the period when we battled the haze, as well as on a daily basis. These are some of my favourite choices for busy and tired moms! Lavender is also known as the "swiss army knife" of oils. It can be used for all sorts of things, and because of its mild nature, it's safe for use with children as well, though be sure to dilute it 1:1 with V6 oil (or an alternative vegetable oil) when used for the first time. 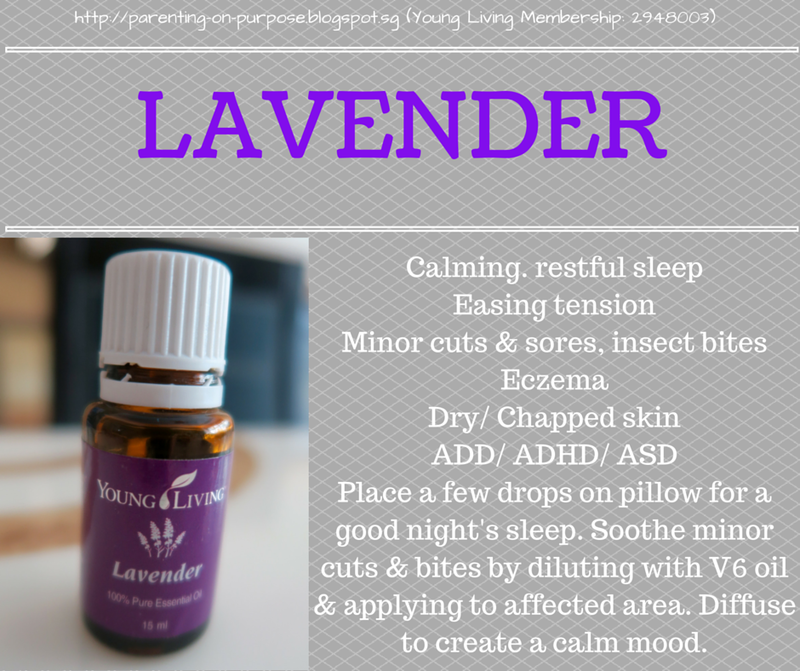 We diffuse it in the boys' room every night for a calm and restful sleep. I also tend to use it for mosquito bites, or any minor grazes and cuts. It also helps ease tired muscles and tension headaches. 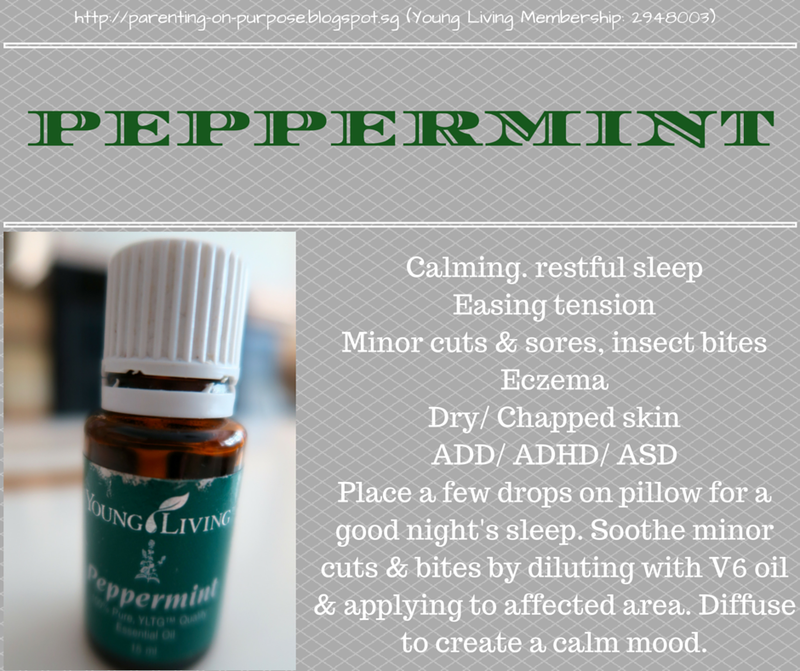 Peppermint is my favourite oil. 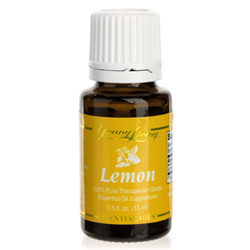 It is refreshing and the only oil which worked during the haze when I was congested and needed some immediate relief. I also inhale a drop of it on the days when I have work and am feeling fatigued. I love the scent, and so does everyone else whom I have offered it to! I offer a drop to Mark when he is feeling fatigued while driving. It helps him to stay alert on the road, which is of utmost importance to our safety as a family. 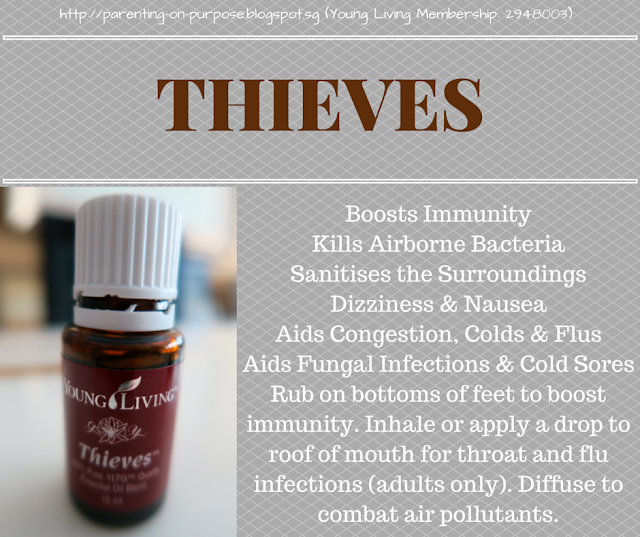 Thieves is a natural antiseptic. Legend has it that it was a remedy which grave robbers came up with for protection against the nasty bacteria they would have encountered as an occupational hazard. It is potent! My hubby ingests a drop of it under his tongue when nursing a sore throat. The effect, shall we say, is immediate, though be warned that the long term benefits require some short-term endurance as the Thieves oil does it sterilising work in one's throat. I am more cowardly and prefer to rub a drop or two on my hands and inhale it. Studies have shown that a drop of Thieves kills more bacteria than some hand sanitisers. 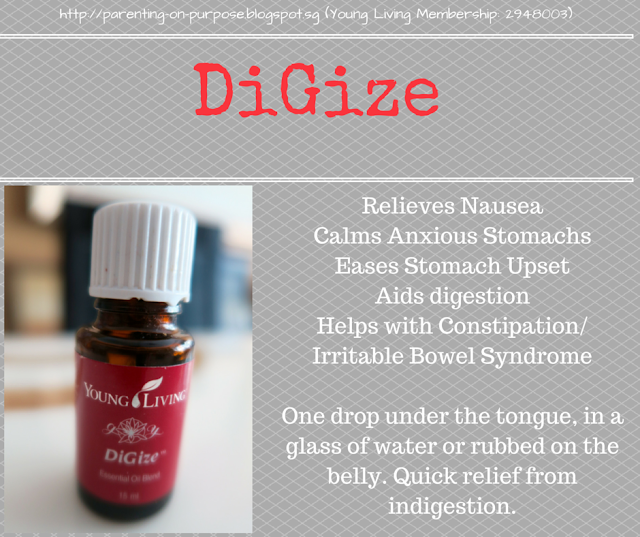 DiGize stands for "Digestive Energizer". It is the replacement for the Chinese medicated oil I used to use when having a tummy upset or suffering from food poisoning. Interestingly, it also kind of smells the same! I find that just rubbing a drop on my stomach brings instant relief. It eases the pain, aids digestion and helps with nausea. It also has been helping my kids with their tummy aches and constipation. R.C. is milder than Thieves. When I ran out of Thieves during the haze, I tried R.C. instead. Because of its mild nature, it was suitable for application on my kids as well, and tided us through the period when they had nasty coughs. I applied a drop on our N95 masks before putting them on, which made the wearing of the masks much more pleasant for all of us. It clears sinuses effectively. We are now under the Essential Rewards Program for Young Living Oils. It seems as if they have become a part of our family's wellness regime. They are certainly not cheap, but we have decided to continue with the oils for now as they have been of benefit not just to the boys, but have helped Mark and myself cope with the fatigue and tiredness which can come with being parents to two active boys and dealing with the demands of work. If you would like to find out more about the Young Living Oils, do drop an email at marklim.suetan@gmail.com, or leave a comment on our blog. This post explains very clearly what the various options for purchasing the oils are. We are offering a promotion for the month of November - the first 2 blog readers to sign up with us* for the Essential Rewards Program will receive a free special Relax & Rejuvenation Package (total value of $101)! 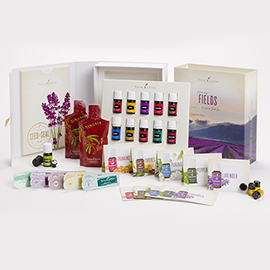 **You will receive the Basic Starter Kit when you sign up as an Essential Rewards Member with Young Living Oils.